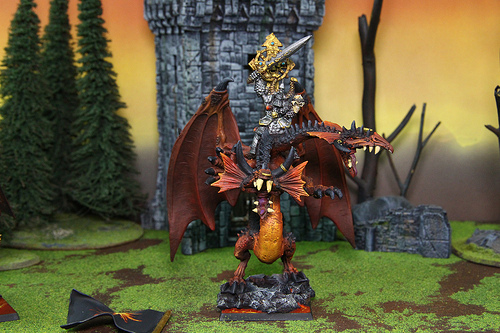 We carry hundreds of pre-owned Warhammer Fantasy figures, Terrain, and Scenery. We do not sell any new Warhammer Fantasy products. Any Items new in box are aquired second hand and any single miniatures come with all pieces. Each race has it's own powers and strengths. It is up to you to build your custom army to dominate your opponents. Blue Table Painting has the unique ability to not only supply your miniatures but also to paint them on high levels to ensure the best gaming experience you can imagine!